Our wonderful collection of finials can be changed out seasonally or as you please to add a special personal update to your favorite lamps. 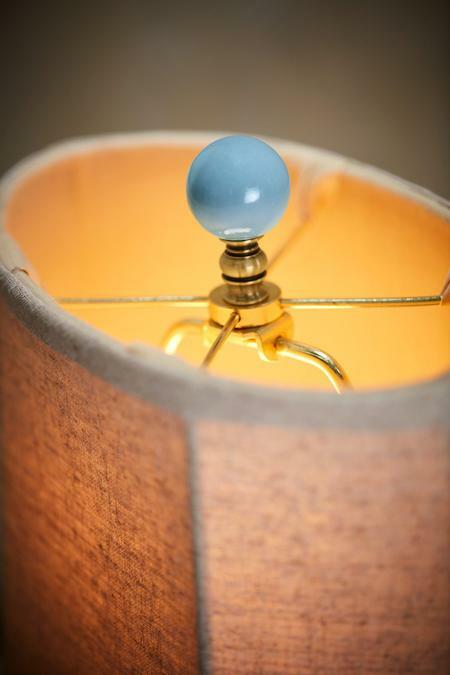 A constant classic, this ceramic ball finial adds just the right dose of color to any of your lamps. Aqua, Ivory, Sky. 1-1/4"w x 1-1/4"d x 2"h.